NTTS offers a 90-hour training course for the Class B CDL. This Heavy Truck Driver Course is designed for individuals with little or no experience driving commercial vehicles and want to obtain a CDL. The Class B CDL vehicle designation is for heavy, non-articulated vehicles such as straight trucks, fuel trucks, and dump trucks. This training course utilizes classroom learning, demonstration and practical application. The “hands-on” behind the wheel Class B CDL training is conducted using straight trucks and focuses on driving skills development. Those skills include several types of backing maneuvers, proper CDL turns, and local street training along with preparation and practice for the CDL skills test. Students who complete the Class B CDL training course have various job opportunities available for truck driving positions. 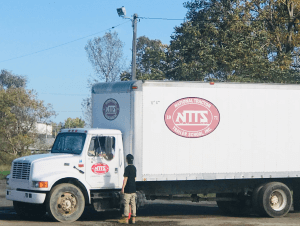 NTTS has assisted Class B CDL graduates to find well-paying job opportunities with several employers.